While my dog and I both enjoy scent games, it is our daily scent walks in the neighborhood that are the greatest fun for both of us. 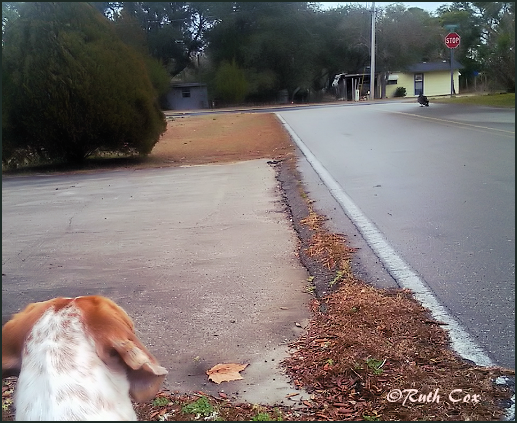 My Redtick Coonhound loves walking with his nose to the ground. We live in a rural beach community where wildlife abounds, so there are plenty of scents for him to follow. At least one of our neighborhood dog walks each day is dedicated to allowing the dog the lead and I follow, paying close attention to his actions and body language. These scent walks are fun nose work for my dog and have proven to be great bonding experiences for the two of us. On this particular day and scent walk, Valentino would sniff the ground, run ahead or across the street. Yes, dragging me behind at a quickened pace as though we were running a race. My dog would make frequent stops to sniff the air, then race ahead to sniff his pathway once again. Eventually he came to a full stop. I followed his gaze, directed by his on-point stance. Sure enough, he had found what his nose had been searching for on ground and in the air! About fifty feet in the distance I spied what my fog Valentino eyed — a Turkey Vulture! 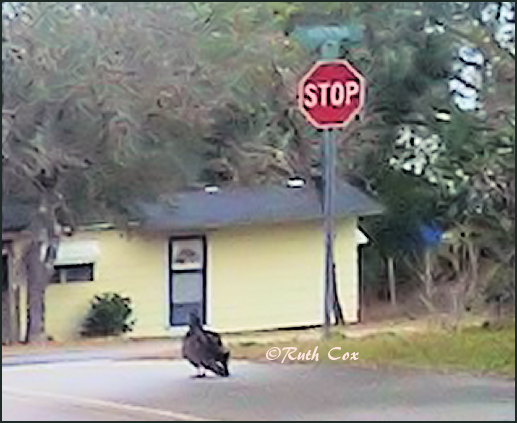 Together, my dog and I watched the vulture fly from behind an evergreen tree to land right before our eyes, right in front of the STOP sign at the corner of the street. While scent walks and games are fun for my dog and I, these activities are also a way of working my hound dog's natural instincts, both physically and mentally. For me, it is important that I keep Valentino's innate scent ability well-honed. I spend a lot of time reading and researching ways to keep my dog fit and that includes nose work as a body and brain activity. Yes, I am in training as well as my dog! 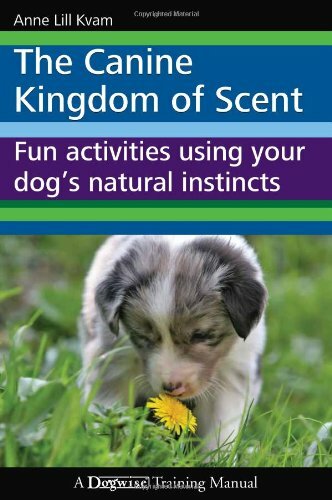 The book "The Canine Kingdom of Scent" has proven invaluable in lessons for me as a dog owner. 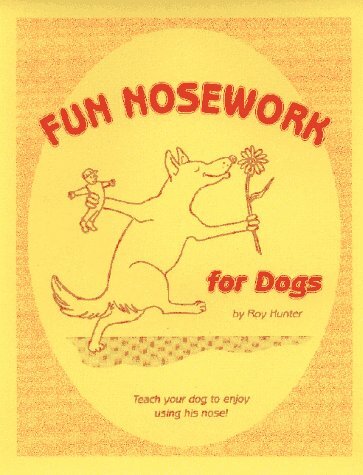 And, the book is filled with activities in which to sharpen my dog's scent skills. In my research, I recently ran across the web site of Suzanne Clothier and her Relationship Centered Training™ methods for dogs and their owners. I am making good use of "Scent Games-Educating Your Dog's Nose" which is free to download from her site. My dog and I have much to learn about ourselves and each other as we walk this part of our life journey together. We plan to keep it fun as well as educational. 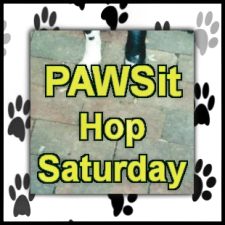 For those of you who are blogging about dogs, we extend our Dog Pawsitive Tidbits invitation to you to join us for PAWSit Hop Saturday. 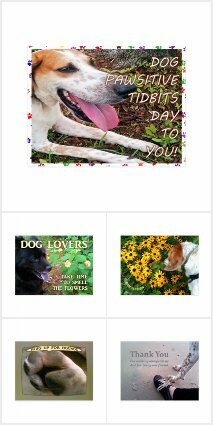 Publish your dog-related blog post and add it to the link list for others to read and enjoy. Add the InLinkz code to your blog post.